The AVS140-6 is a complete system that can be used to perform autoclave validations. 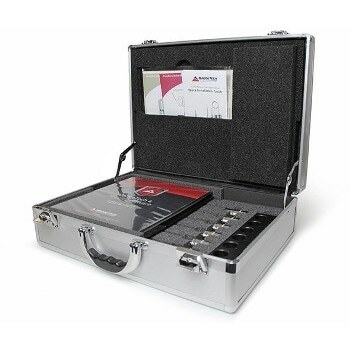 Equipped with six high temperature and pressure data loggers, an IFC406 Multiplexer Interface and the MadgeTech 4 Secure Software, the AVS140-6 provides users a full range of tools that assist industries ensure compliance with FDA 21 CFR Part 11. Each of these loggers are rugged and high precision tools that are ideal for use in harsh environments, such as those which exists in autoclaves.